FilRight Pro PVA-X has been developed for applications where higher temperatures are used (lower than 250 ° C) and makes it extremely suitable for use in combination with ABS, ASA and TPU. Are you looking for support material for materials such as ABS, ASA and TPU? Then use PVA-X filament. This filament dissolves in water and can handle higher processing temperatures. Why choose FilRight Pro PVA-X filament? FilRight Pro PVA-X filament adheres very well to materials based on Styrene and can handle a higher processing temperature than normal PVA +. For this reason, this PVA variant is extremely suitable for use in combination with ABS, ASA and TPU. Can PVA-X filament be used on any 3D printer? 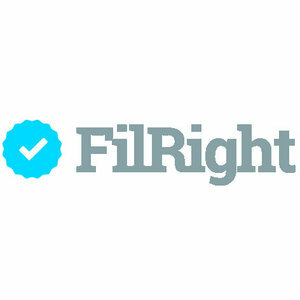 To use FilRight Pro PVA + filament a 3D printer with a dual extruder is required. Dissolves well in lukewarm water.